1. AUTUMN IN NEW YORK (88 BLUES). 2. AUTUMN SERENADE (88 BLUES). 5. COPPELIA WALTZ (108 WALTZ). 6. KISS ME AGAIN (108 WALTZ). 7. HOP SCOTCH POLKA (100 POLKA). 8. BILL BAILEY WON'T YOU PLEASE COME HOME (100 POLKA). 9. TELL ME WHY (100 SCHOTTISCHE). 10. SUMMER SOUNDS (100 SCHOTTISCHE). 11. MIRROR MIRROR MIRROR (120 WALTZ). 13. YMCA (100 MARCH 6/8). 14. WASHINGTON & LEE SEING MARCH (100 MARCH 6/8). 15. 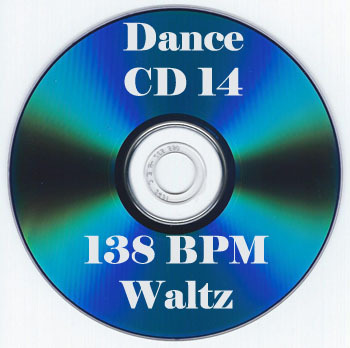 GOLD & SILVER (138 WALTZ). 16. 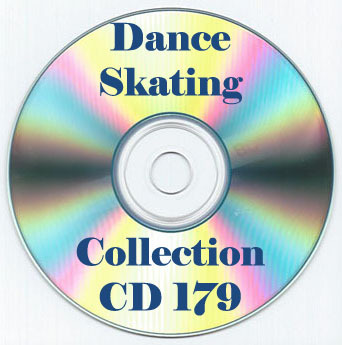 SKATER'S WALTZ (138 WALTZ). 17. A MEDIA LUTZ (96 TANGO). 18. ALMOST PARADISE (96 TANGO). 19. TU (100 PASO DOBLE). 20. THE THUNDERER (108 MARCH 2/4).